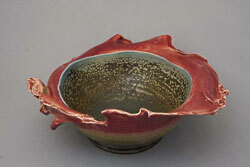 Derek Kasper has been working with clay for about a dozen years, mainly at Cedar Hill Recreation Centre. 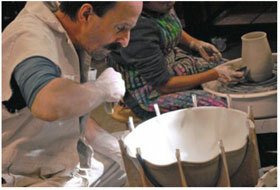 He is a perennial rabble-rouser in the Wednesday evening class session and now at the Potters Guild. 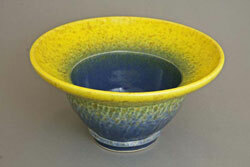 He has been a participant in many shows and sales in recent years. 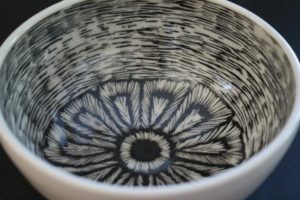 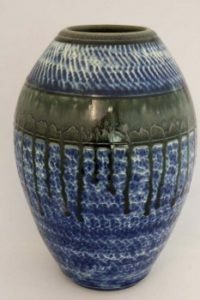 Much of his work is characterized by a surface texturing called chattering, which can appear wavelike or feathery and is enhanced by multi-coloured overlapping glazes. 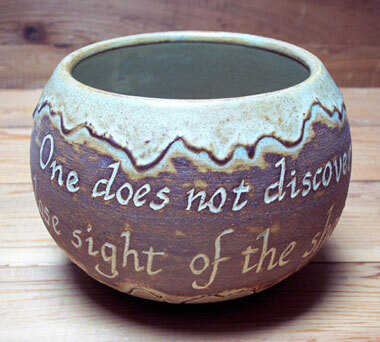 Recently he has been doing some experiments with taking pots to the limits of survival—and beyond! 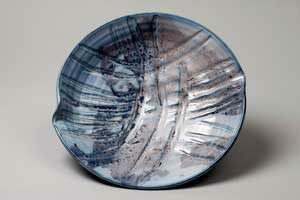 To see some other creations please check out two photo websites. 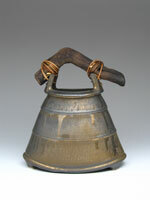 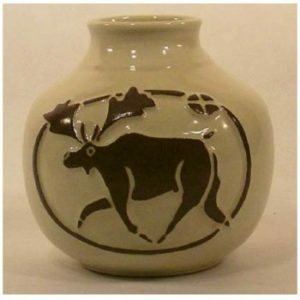 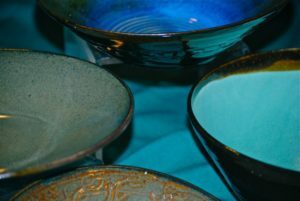 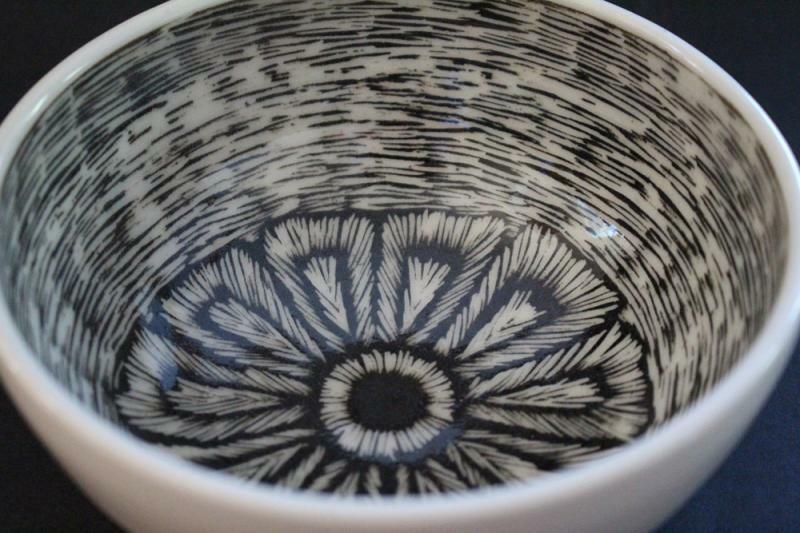 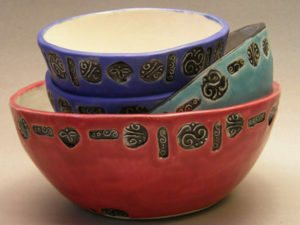 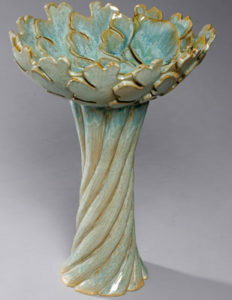 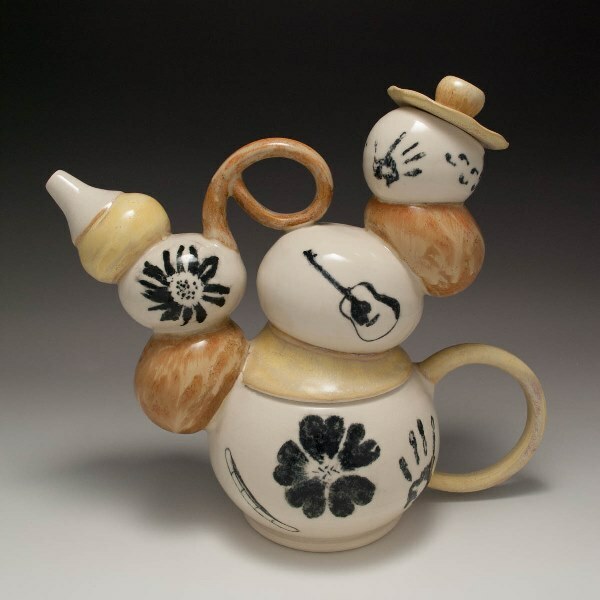 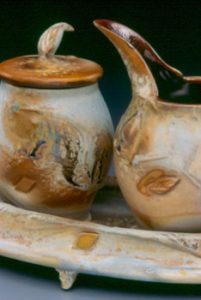 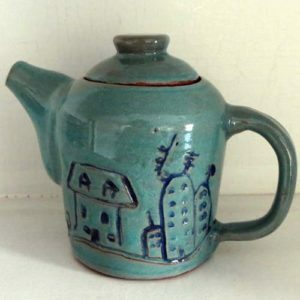 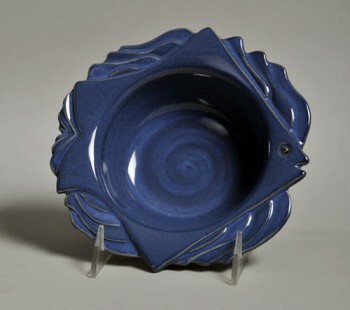 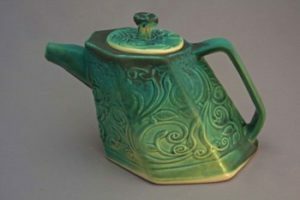 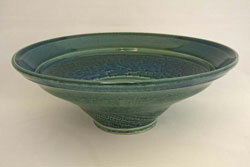 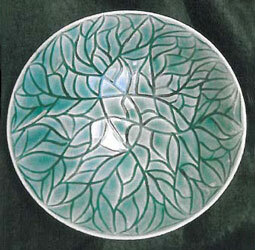 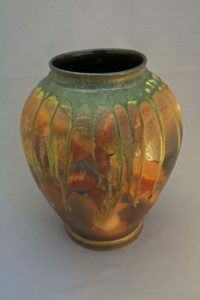 http://members.shaw.ca/NoTwoAlike has an overview of some of his pottery history the good with the bad—no shame. 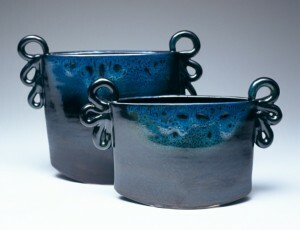 http://NoTwoAlike.ca has more recent work. 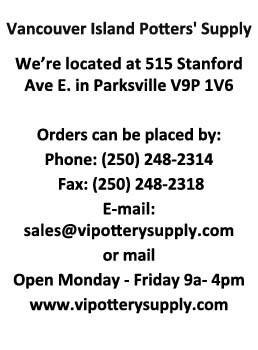 Derek finally made the plunge and bought a kiln. 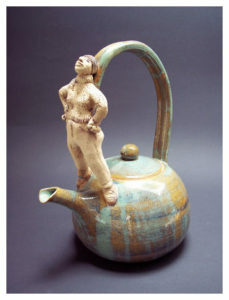 He is currently glazing and firing up a storm! 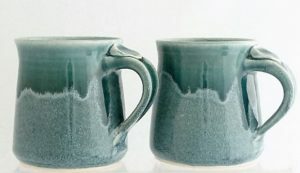 Some of the new pieces can be seen at NoTwoAlike.ca. 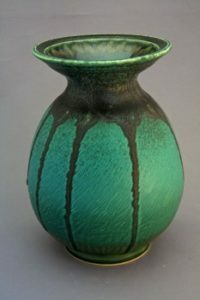 They show a certain spring-like enthusiasm and brightness of colour, illustrative of excitement about new creations to follow.